This has been another mixed week. 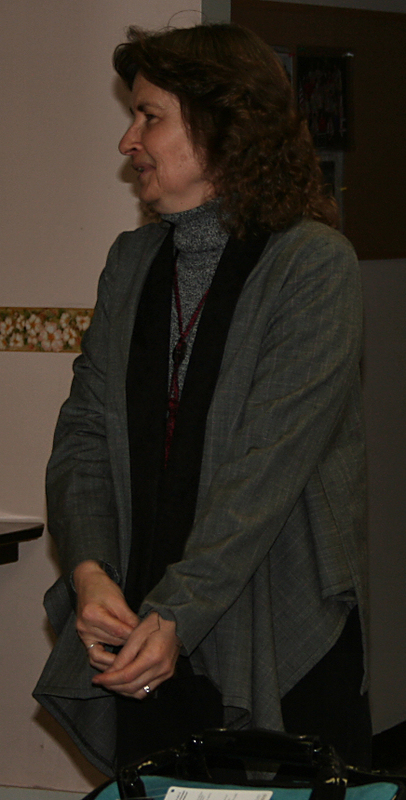 My Aunt passed away December 22, and her funeral service was December 27. She is at peace now. She was on our minds a lot, but we still managed to appreciate our family – more so than usual. 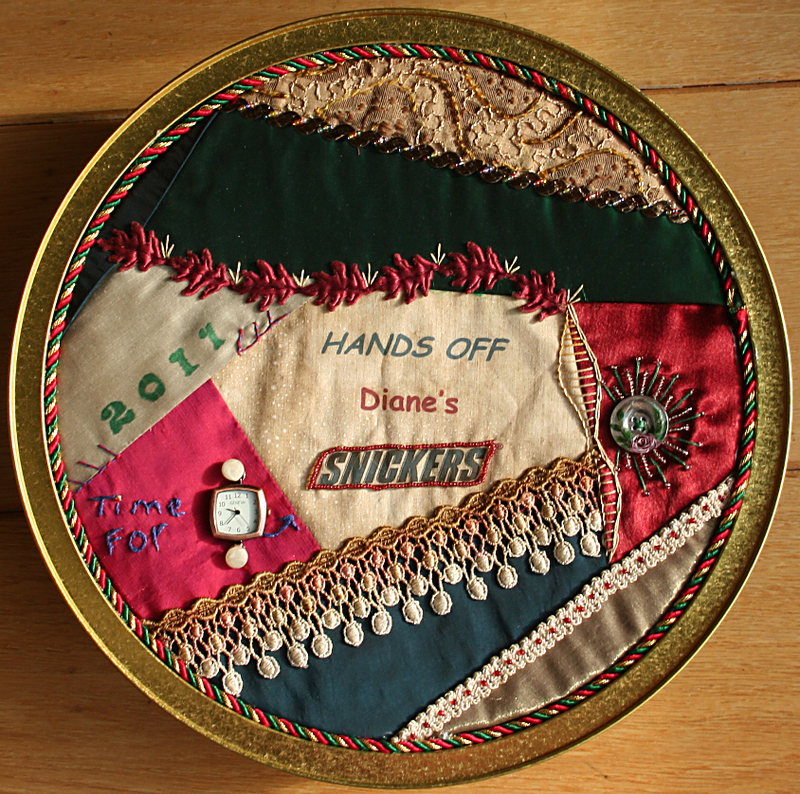 Family members didn’t exchange a lot of gifts this year, so the special present I received from my WorldWide Crazy Quilt Yahoo Secret Sister was extra special. Can you believe the beautiful tin Jacque made for me? The little Cloisonne hummingbird on the right was inside the ornament in the center – at the top of the picture. And the beautiful copper bracelet on the left actually fits. I’m thrilled. I just love copper. 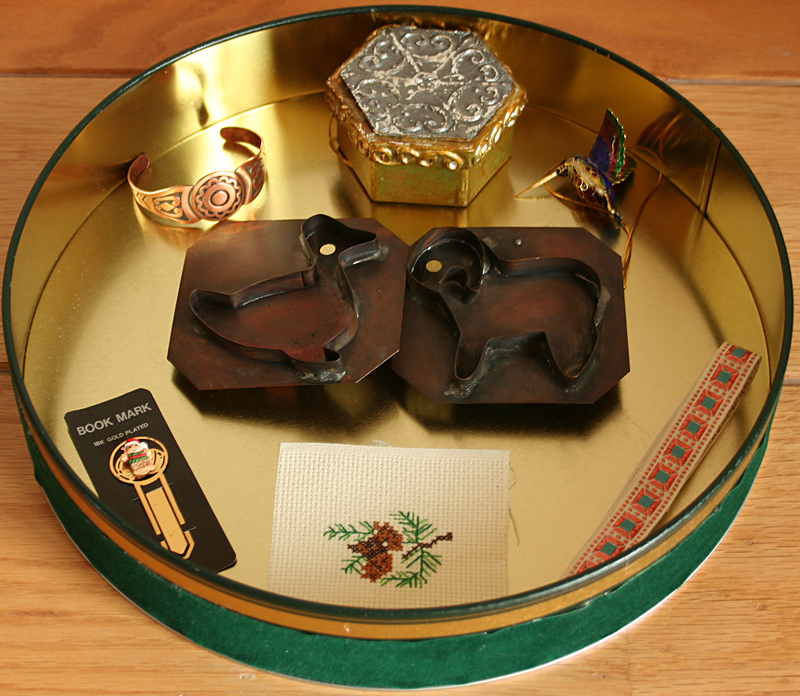 There are two copper animal cookie cutters, a book mark, a cross stitch design, and some trim. Thank-you ever so much for all the goodies, Jacque. December is a bittersweet month for me. Amid all the excitement and good will of the Christmas season, I also have the memories of my mother passing away 5 years ago on December 23rd. Last week, I visited my aunt in her nursing home as she was being signed into hospice. She is 91 years old and approaching the end of her life on earth. Much as I want to cure her, there is nothing I can do to change the ravages of time. Her spirit is strong, but the vessel weakens. My mother was strong till the end. She didn’t cry, and she didn’t want us to cry. She was still offering comfort and love to her family till the end. To comfort myself, I’ve been working on a Quilt of Valor. 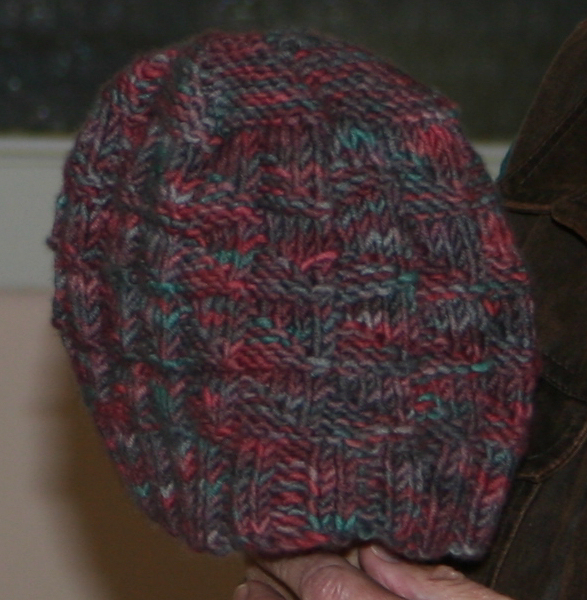 I love my new sewing machine, and wanted the first project made using it, to give someone else joy too. 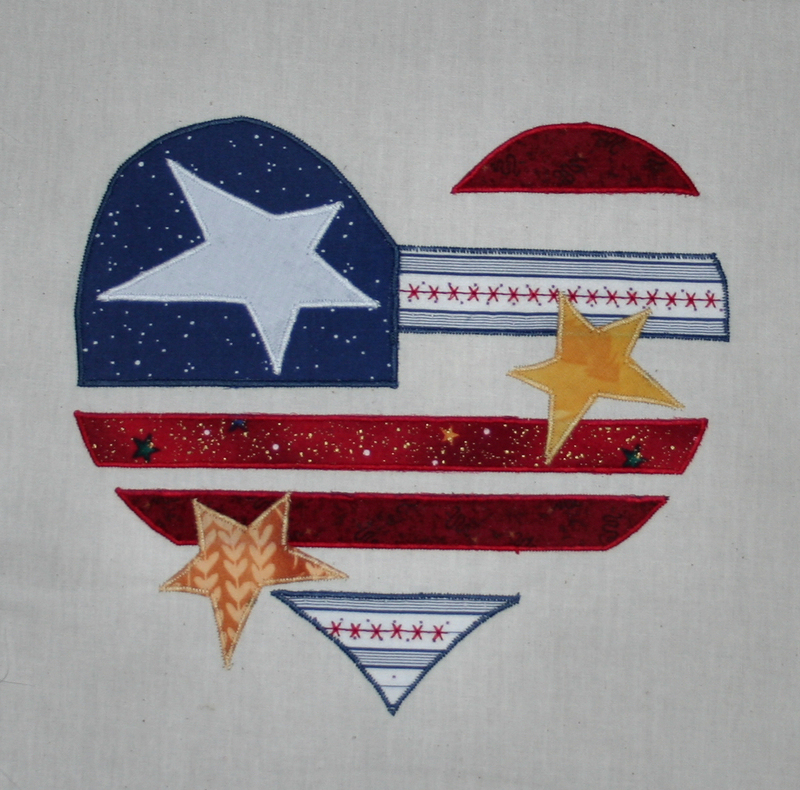 There was a great patriotic wall hanging in the July/August 2003 issue of Fons & Porter’s Love of Quilting magazine called Heart of America. The Quilts of Valor have to be larger, so I’m tweaking the pattern a bit to fit the criteria. I wanted more red in the blue stripes, and selected a built in pattern from my Pfaff Creative Sensation and carefully sewed down the center line of the striped fabric. I love how it turned out. If you can’t find a striped fabric you like, you can always create one of your own. Then I fused the left blue flag field piece in place. Then I satin stitched around all the fabric. 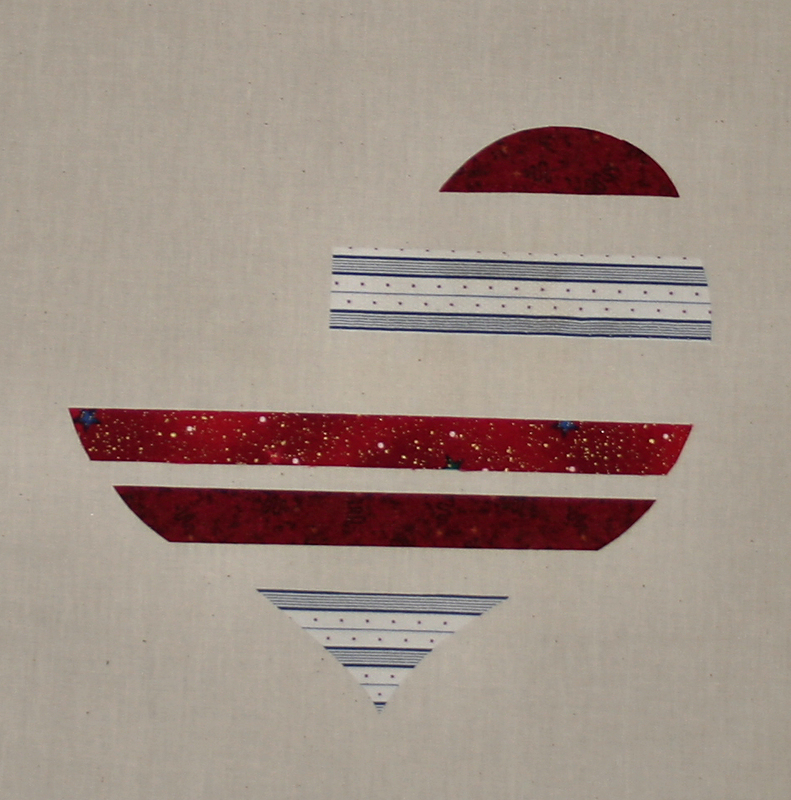 Then I cut out stars and fused them in place, and satin stitched all around them. There is a big difference between the two blocks, isn’t there? I didn’t follow the pattern exactly, but pretty closely. I moved the white star to the blue background instead of having a white star float over the red stripes. It shows up more. I also changed the star sizes. The one on the right was supposed to be a really small star, but the photo of the quilt showed it to be the same size as the other small star on the block, so after fusing and cutting out 4 of the really small stars, and realizing the proportion was off, I put them aside, fused more fabric, cut out more stars and like how it came out. It’s hard to believe that December is here already. It seems like I just turned the calendar to 2011, and the year has flown by. This is the first year I’ve gone to the holiday party for RAFA and what a good time we all had. The food was wonderful and as varied as our members. There were tortillas, stuffed grape leaves, shrimp cocktail, salads, pizelles and of course – chocolate desserts. We played a game and all went home with either a fat quarter of fabric or embellishments. 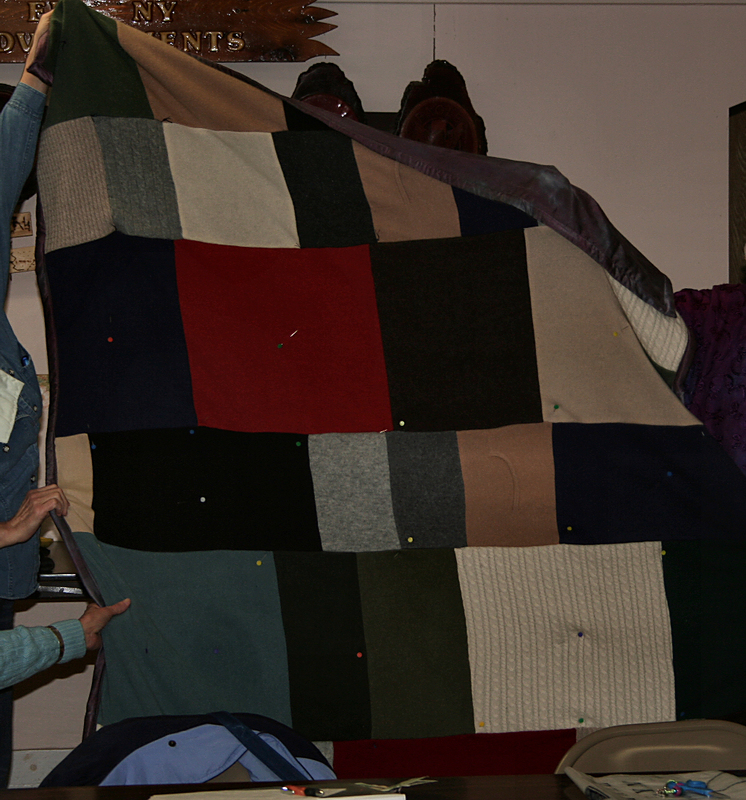 She buys cashmere sweaters, washes and felts them, then assembles them into a warm and cozy quilt. 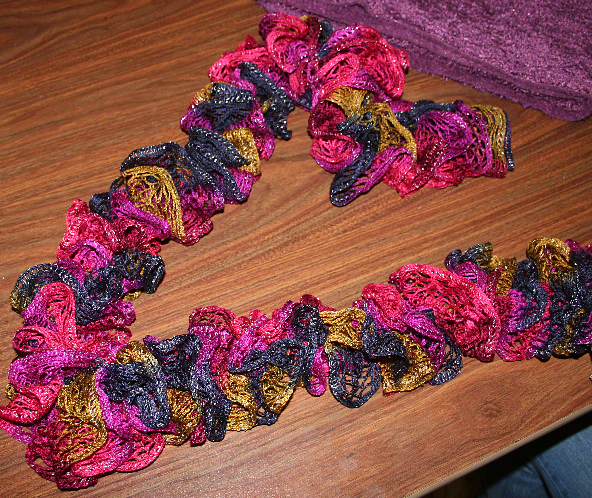 She backed them with some Radiance fabric she purchased from me that she hand dyes. It’s a unique fabric that is 50% cotton and 50% silk – one side feels and dyes like cotton, the other like silk. She has the cotton side against the cashmere, so the two cling to each other with very little quilting. She ends up with one side warm and cozy, and the other total silk luxury. 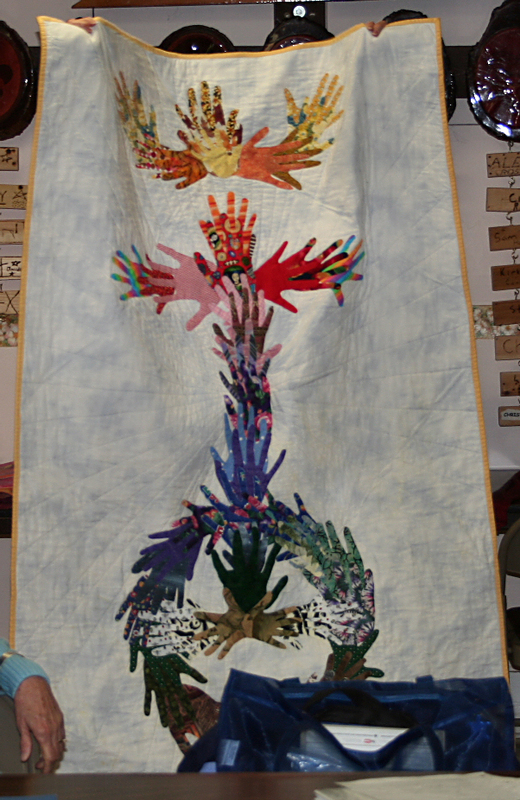 The hands of all the children in her church – from the very youngest up to 18 – were traced, and then made into fabric appliques . They were arranged in a cross and crown design – the symbol of her church – IUCC. You can see the letters on the second row. I had difficulty seeing it, but then I usually do have difficulty deciphering hidden letters. 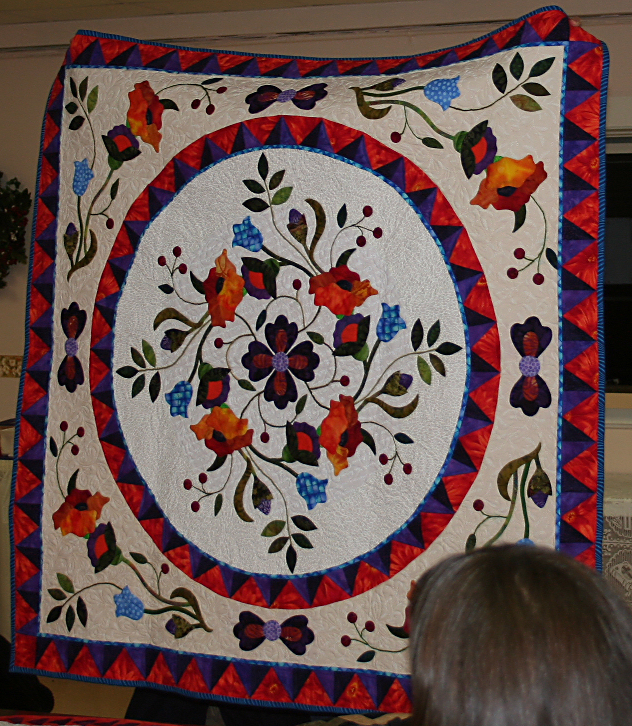 The quilting on this is absolutely wonderful. I’ve liked that piece ever since Janet started it. It puts a smile on my face, and guess what? I purchased it for myself. It was a present for me, from me. She hand sewed hundreds and hundreds of small sttiches in the fabric background and the piece literally makes me want to sing and dance with joy every time I see it. 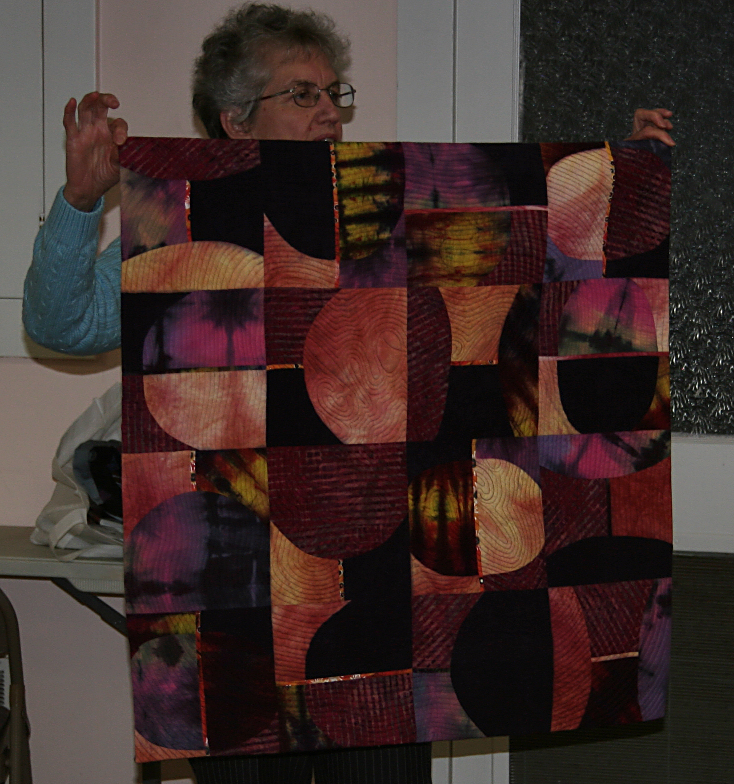 Judy showed us the quilt recently featured on her blog. I linked to hers as her pictures are much better than what I took. It fit her nicely and had wonderful drape. None of us can find the pattern though. If anybody would like to share a source, please leave a comment. Quite a few of us are interested in making one. She used to work for Nancy Davis Murty – making a lot of the quilts for her pattern covers – and let me tell you, this woman can applique like nobody’s business. It’s all by machine and her stitching is phenomenal, plus her color selection is ooh-la-la – over the top – perfection. 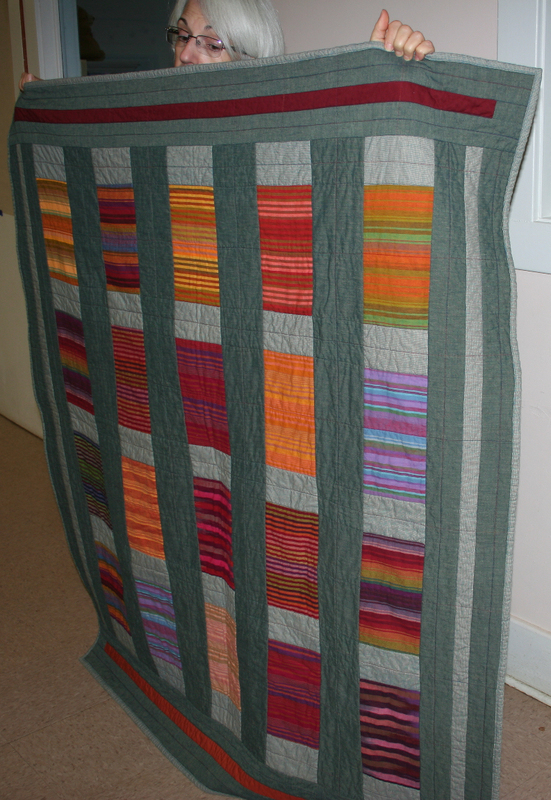 Gee, can you tell I liked everything about this quilt? 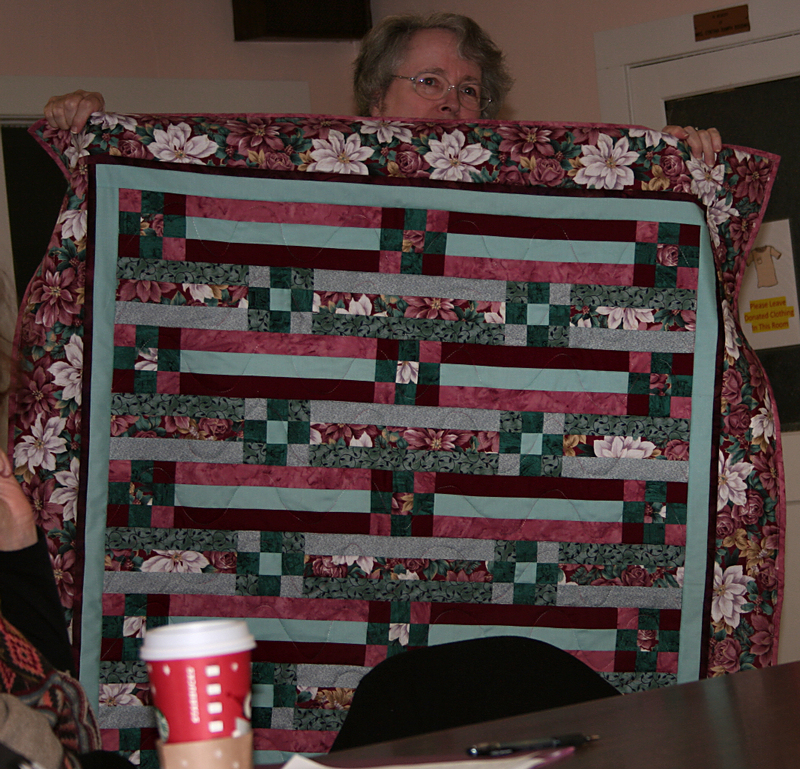 The center is Nancy’s Summer Poppies pattern, but Mary wanted a square quilt and added to the pattern. She’ll make good use of that hat in Upstate New York. Her church has something called a White Christmas. Members bring presents to give to others who might not have the money to buy presents. She said it was an easy quilt to make. 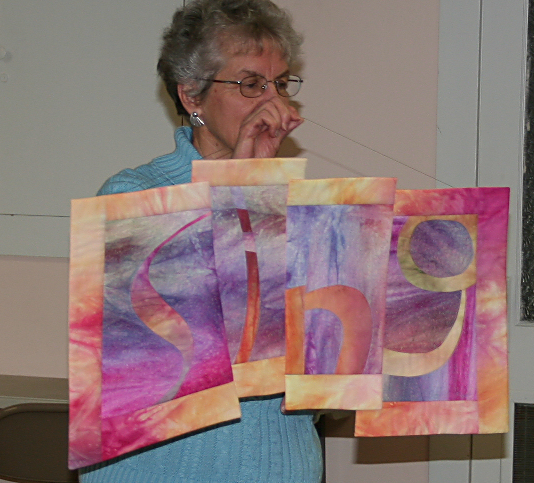 I hope you enjoyed seeing some of the Show and Tell from our December meeting.